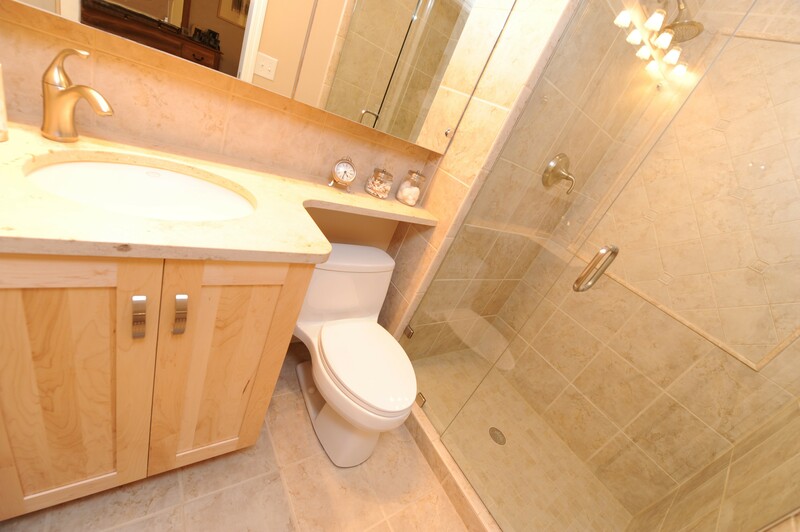 For this small bathroom, our client wanted updated features and a roomier feeling without changing the room’s footprint. 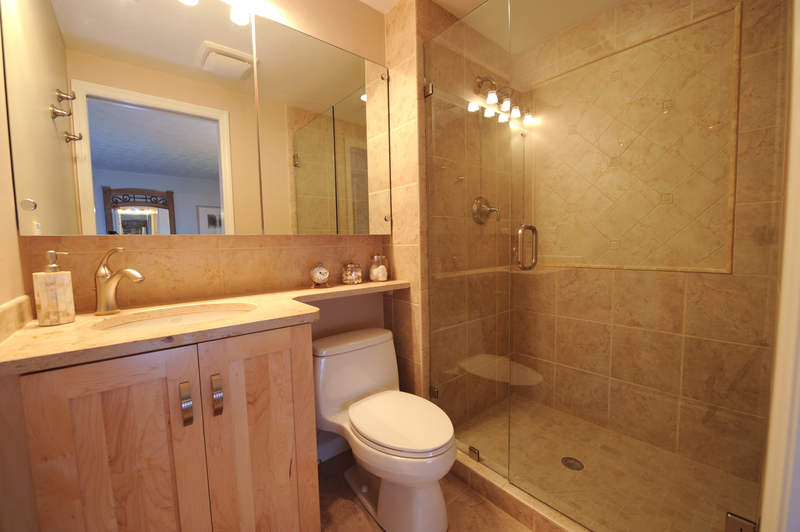 We used a simple color scheme, a frameless shower door and wide, mirrored medicine chest to make the space feel larger. To add a focal point, a different tile pattern and decorator tiles were used in the shower.. 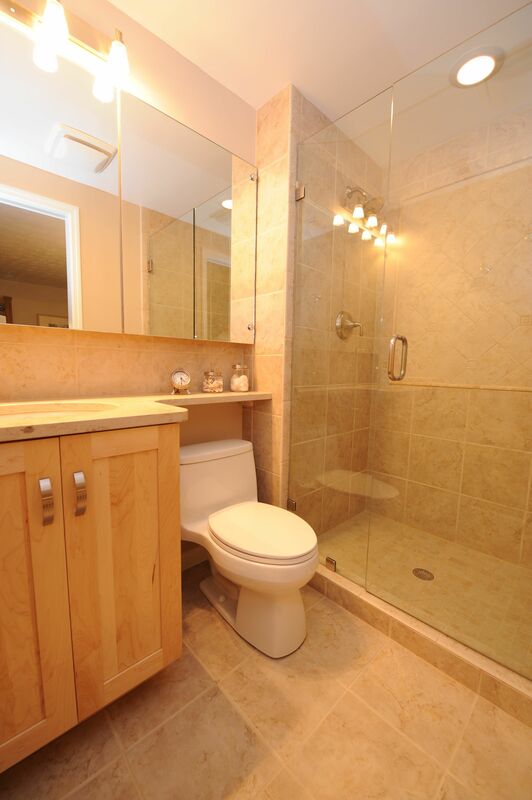 The space for this master bathroom is minimal so we wanted to make it seem as large as possible. We used a tone on tone color scheme to help achieve this goal. Another view of the finished space. The counter tops are limestone and there are small fossils in the surface. To maximize storage space a custom medicine cabinet was installed that covers virtually the entire back wall of the bathroom. 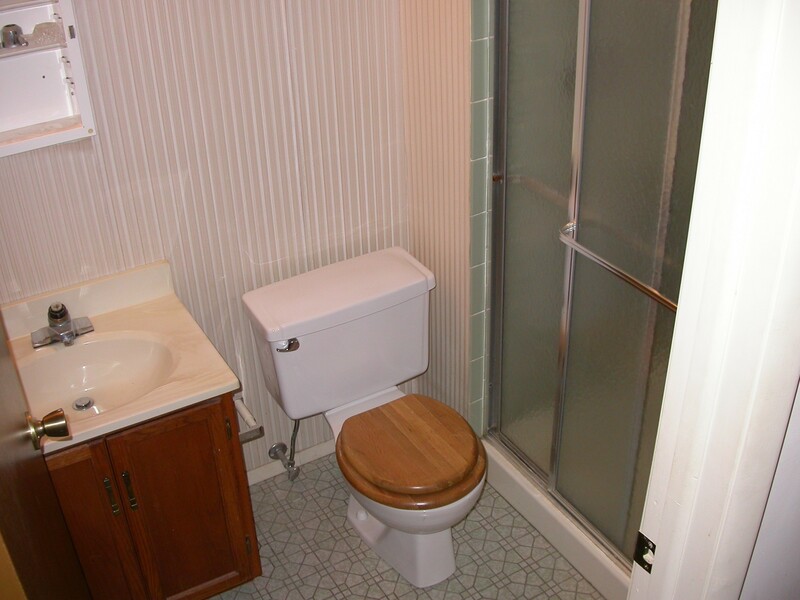 A before picture of the bathroom.